Web portals are dedicated to defending your comfort and creating technological innovation that gives you the most highly effective and secure online experience. Our responsive web design empower your presence on Computer, Tablet or Mobile which builds the brand and business identity. Today's competitive business scenarios have flexible demand to meet new imperative business process. E-Commerce & M-Commerce are the only successive solution for all core online business. Creative design of m-commerce and e-commerce get the business to the customer's door anywhere. If you have some idea in mind or you are thinking of process automation and you are not sure whether the concept is feasible, our consultants can assist you with technical advice, investigation and assessment. our developers are available to customize your business needs. It's your plan, our implementation, your project, our responsibility. 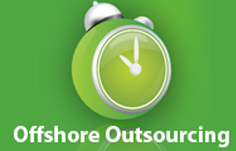 Azolution is the pure Offshore Development Centre (ODC) offering bespoke cost effective software development and services “On-Time-On-Budget”. This is a sustainable offshore development power house in Bangladesh valuing customer focus, honesty and integrity, committed to its client specific extended teams concept, remote technical support after deployment and integrated onshore-offshore processes. Azolution brings A to Z solution of your process automation. Azolution provides a highly cost effective, alternative to in-house State-of-the-Art internet solutions, software development and business process management. We offer our clients, specialist software development expertise and capacity at a very competitive price. For example, in the case of web development and e-commerce sites Azolution supplies you with an on-shore project manager based on UK or USA who administers the work of local copywriters and designers together with the capabilities of a highly skilled multi-disciplinary offshore technology team. This enables you to have access to a highly responsive, cost efficient one-stop-shop. What is the benifit with us? Azolution has been providing a wide array of end-to-end IT solutions for a range of key vertical industries and horizontal competencies. Leveraging a powerful combination of the best industry-proven practices and leading standards, strategic vision, a vast spectrum of technical and technological competencies, Azolution offers its clients a comprehensive suite of IT services including strategic business planning, software consulting, software design, project management resources, re-engineering, software upgrades and website enhancement, and rapid application development. Since custom software development is just the main area of our business, we can offer you the most appreciable and competitive price benefits which are less than 50% of your cost in some cases. If you are Hardware Vendor, we can accelerate your sales by bundling our software in your hardware and brings the total solution to client. If you are Outsourcing Partner, we can take all responsibility of your project development & implementation on behalf of you where your client is secure to us as we never contact your client directly unless you advice us. We do not think about our business only but also yours as we value our all partner's interest.